Yeay, here it is, the beautiful cover for About That Night! Come follow me on Facebook to keep up to date with details on: pre-order, giveaways, teasers and release date!! Writer’s block has been driving me crazy for pretty much the past year. So much so that I’ve started and abandoned several books. I got pretty close with one of them and actually thought that would be the one, but once again, I stalled out. Then this story hit me and I found myself writing…all the time. I couldn’t stop and I didn’t want to jinx it by saying anything, but now that it’s finished, I finally can. Because yes, I finally finished something!! There’s only one week left until I Love You, Always is released. As you know, Luke’s book is the third in the I Love You series and because there are overlapping characters, events and timelines in all three books, I would highly recommend you read I Love You to Death and Stubborn Love first. 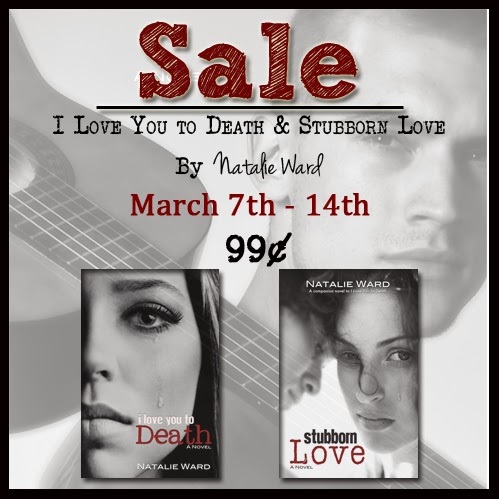 And from now until release day, you can pick them up on Amazon for the bargain price of 99c each! I also want to take this opportunity to say a huge thank you to everyone who has supported these characters, and me. I appreciate it more than you know.